I'm moving to Menomonie WI in Aug. 2018 to be near my oldest Grandson and his 4 little kids, ages 5-9. My sweet Great Grand kids. Should be a whole new adventure being so close to them. can't wait. 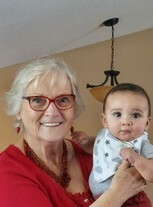 Janice Forster Mechtel updated her profile. View. Janice Forster Mechtel has a birthday today.